The VP9 is a striker-fire mid-size pistol from Heckler & Koch. It is a highly adaptable weapon, from a distinguished lineage of handguns. What is a VP exactly? The VP was originated in 1944 Germany in WWII. It stands for VolksPistole, or the “People’s Pistol”. The German army needed a new style of pistol that was cost-effective and streamlined in the manufacturing process, there was a war on after all. After the first few models of the original VP were released- the war ended. So did the hopes and dreams of the VP. In 1965, a former German weapons engineer re-invigorated the design- we now know as the VP70. The first striker-fired polymer-framed pistol that incorporated plastic in the design. 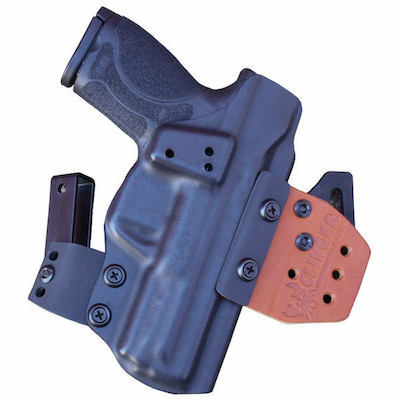 The VP9 is very similar to the original design of the VP70, that is how it got it’s namesake. This gun is not small by any means and some would find it odd that this would be considered for a concealed carry, but it works in our HK VP9 concealed carry holsters! The height is 5.41”, the length is 7.34”, and the width is 1.32”-thin compared to the P30SK. 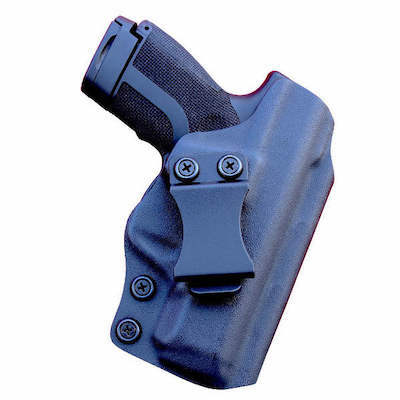 It is a great concealed carry gun with the right HK VP9 Kydex holster. I found that the “No-Print Wonder” was best suited to the task. 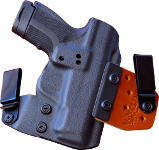 The “Cling Tab” and the dual steel clips really support the size and weight of the firearm and tuck it in nice and tight. There are a few similarities between the VP9 and the P30 look and feel very similar when placed next to each other. 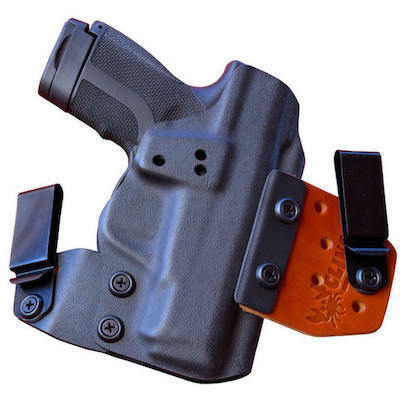 The similarities between the P30 and the VP9 are also located in the functionality (e.g. 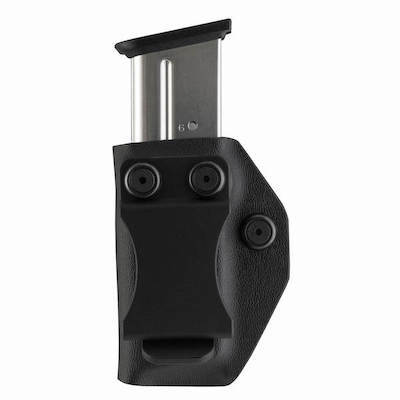 the magazine release paddle, the interchangeable magazines, the adaptable grip, and the 3 dot luminescent sight). The Heckler & Koch VP9 is a formidable and highly adaptable firearm. 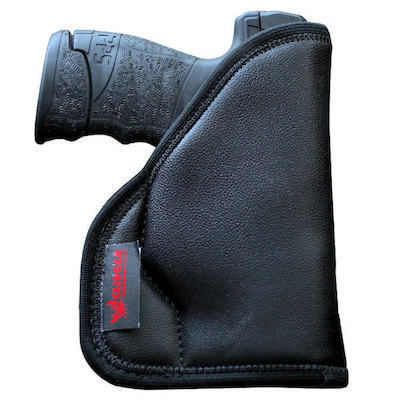 It can be used for target shooting and personal defense. It also has tactical application- it is used by some of the most prevalent special forces teams in the world! The HK VP9 truly is a quality gun from a quality gun manufacturer.